Today we interview Elisa Scarlatta: 32 years old, from Biella (TO), successful cyclist and mother, and one of the most famous sports influencers in Italy. Starting from a simple family passion for cycling, Elisa has managed to build a real job that allows her to live 365 days a year thinking exclusively of her family (she has 2 children) and the bike. Currently, in fact, she is an ambassador for many major brands belonging to the world of cycling (from Specialized to Castelli Cycling, passing through Scicon, Sram, Alba Optics and many others) and, certainly, plays a key role in promoting the women’s cycling movement at an amateur level. During the year “CheryBomBom” also participates in many Granfondo such as the Maratona Dles Dolomites, the Milan-Ride, the Granfondo Bra-Bra, and will play, for this year, the role of godmother at the Granfondo City of Ancona. Hi Elisa, first of all we want to thank you for your availability and for your kindness. Let’s start with a very simple and trivial question, it can be very interesting to understand who you are. At what age and in what way did you approach cycling? I approached cycling at the age of 12, following in the footsteps of my cycling dad and grandfather, a former professional. In short, cycling was part of my home! Which one is your favorite professional cyclist and why? My favorite professional cyclist is Daniel Oss; I like what he does, it’s rock n roll and it makes cycling less boring. He has the right spirit! In addition to being a cyclist you are also the mother of two beautiful children. How has your life changed, even on a sports level, since they were born? Yes, I have two wonderful children; in that period I abandoned the races but never the bicycle. The midwife always takes me as an example to the women who ask her if you can do sports in pregnancy because every week I arrived at the pre-departure course by bike. Now, that I’m older, I’ve started doing some granfondo again; as soon as I leave them at school I run immediately at home to change my clothes and to go out for a training. When you have a passion you do your best to not give up! By now you are one of the most famous and followed “Cycling Influncer” in Italy, perhaps the most followed ever. How do you become an influencer and what motivated you to become one? I didn’t decide to be an influencer! When I installed Instagram I didn’t even know how it worked, but I started posting photos with my bike and they were always more enjoyable. 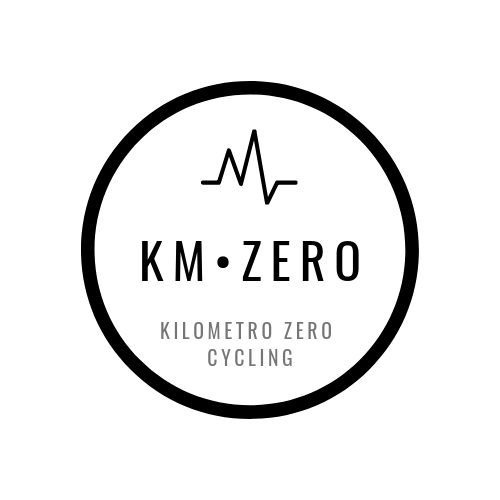 I discovered a “cycling” that I did not know, I got in touch with companies that provide me with materials to test and advertise, I receive also invitations to many events and granfondo … in short, the race aspect of cycling is not everything. People follow you not because you get on the podium every Sunday, but because you can convey that in cycling the passion for two wheels counts first and foremost. 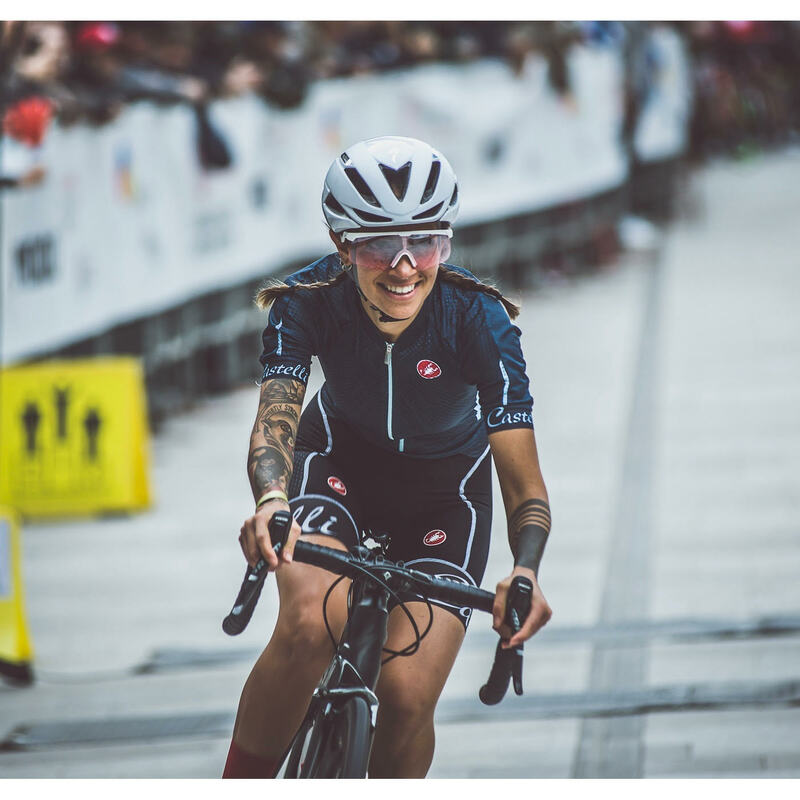 In the last 2 or 3 years the cycling movement has grown considerably and the number of women who practice this sport is also growing considerably. What do you think about women’s cycling? Why should a girl/woman ride a bike? I’m happy to see more and more women approaching this sport. Sometimes, perhaps, it is thought that cycling is too tiring to make miles by bike; but we, as women, do not lack tenacity, it is not what we should scare about! In 2018 you took part in many events and ran many granfondo (Maratona Dles Dolomites, Milano Ride, Granfondo Bra-Bra, etc.). Which one left you the best memory and why? The Granfondo that I prefer is undoubtedly the Maratona dles Dolomites. Everything is enchanting: from the landscape, to the people, to the organization! Now, as we said before, you are one of the most famous Italian influencers and you are ambassador of many important brands (Scicon, SRAM, Specialized, Castelli Cycling, Alba Optics, etc..). What are your future goals? How do you see yourself in 5 years? In 5 years I hope that my profile has grown a lot, you have to be able to stay afloat and always believe in what you are doing. An extra-cycling question: how many tattoos do you have in total? Uuuuh the number of tattoos!? A very good question…I think 30, more or less! Ahahhahah, Paolo Kessisoglu is a “schiappa”! I’m stronger, even if he beats me uphill, downhill and on the plain! Thanks to you for everything, guys!